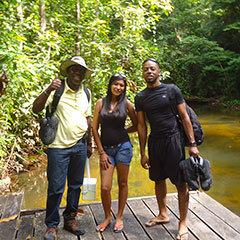 Guided tours of the rainforest near Santarem, the Tapajos River, Tapajos National Forest, Fordlandia, Belterra and more! Explore the Amazon region with our expert guides and get lost in the culture, sc﻿enery, history and cuisine of northern Brazil. One day tour | Two day tour | Four day tour | Fourteen day tour | Kite Surfing Adventures | Questions? Hike the Amazon Jungle in Brazil under the forest giants in the Amazon rainforest. Take a ride down the Tapajos River in a traditional wooden boat. 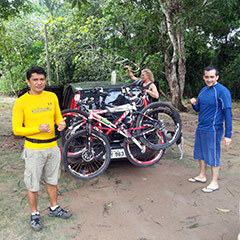 Mountain bike, swim, kayak and explore the forests, rivers, wildlife and historical sites of Northern Brazil. This tour starts with a visit to our Sawmill in Santarém, after which we take the highway BR-163 from Santarém to Belterra, a city founded by Henry Ford. There you have a chance to see what an American town would look like in the middle of the rainforest. Then we take a hike into the forest with a member of one of the families who knows perfectly well every trail in the area. 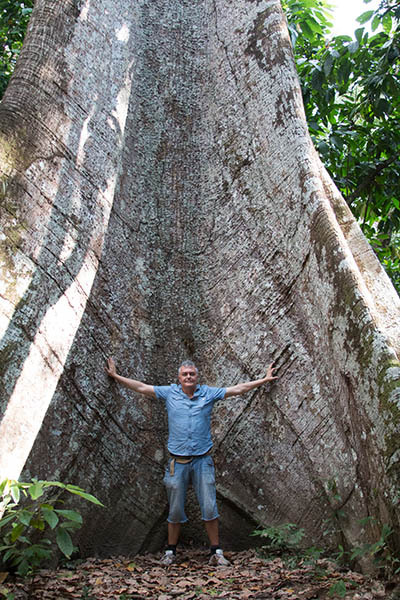 During the hike you get to see the real rainforest giants: Kapok Trees, Brazil Nut Trees and other Big Trees that are a must-see during the tour. 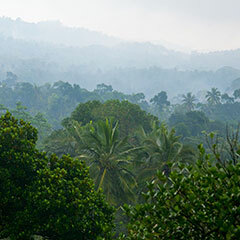 You learn about the many uses of the plants in the rainforest, from artisanal and medical to industrial. 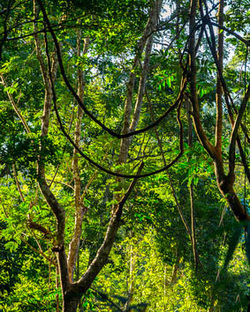 "The highlight of our walk through Rick’s private rainforest was a magnificent Tauari tree. Its base spread out along the ground in huge triangular fins that embraced cavernous spaces perhaps twenty feet tall. It was not a tree so much as a group of searching, wooden walls that had come together to build a minaret. It was a spectacular tree, mystifying in its beauty. And yet, standing under it there in the Amazon jungle, I saw that I would have to stop fighting a realization that had been dogging me the whole trip: a rainforest, however fascinating, is still just a forest. This is not as vapid an observation as it sounds. In the cinematic Amazons, sunlight must always filter seductively, a leopard or a giant spider—or a fetching blue alien with breasts—must be around every bend, and every step on the path must be won with a machete slashed through the succulent fronds of something greener-than-green. It’s not just a jungle. It’s Eden with some danger thrown in." Kite Surfing in the Amazon - a 10-day kite surfing trip for kiting beginners in Santarem, Para, Brazil. Our two day tour of the Amazon region is similar to the one-day tour, but the first day of the tour includes a more extensive visit to Belterra and a more relaxing program in the forest. Then you get to face the night in the rainforest! 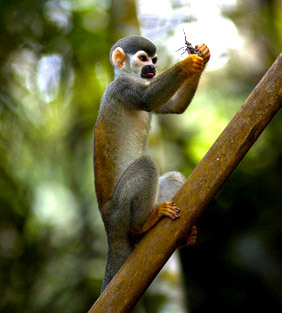 That’s when the rainforest comes to life with all kinds of animals and insects that come out to hunt. 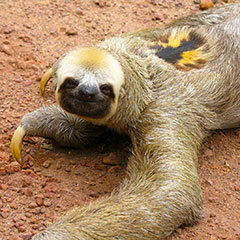 The rainforest awakens with an incredible set of sounds made by every animal that calls it their home. There is nothing better than waking up after sleeping in a hammock, then jumping straight into the fresh water of the river. After a refreshing bath, we take a long hike through the deepest parts of our forest reserve where you will see all kinds of big trees and vines, and if we are lucky, a variety of birds and other animals. This tour includes a breakfast at the sawmill with traditional dishes and tropical fruits, as well as lunch and dinner for each day. 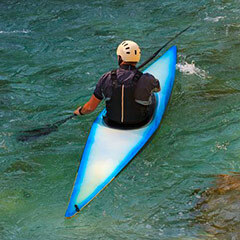 Single day Amazon tours or multi-day adventures! 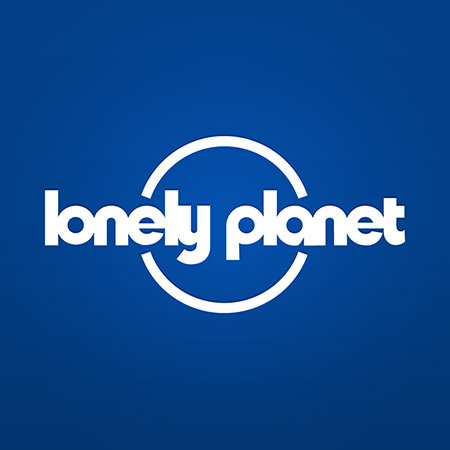 Custom eco tours for groups of 2 or more! "It’s not just a jungle. It’s Eden with some danger thrown in."